hannah and micayla. . Wallpaper and background images in the Miley Cyrus vs. Selena Gomez club tagged: miley cyrus and selena gomez. 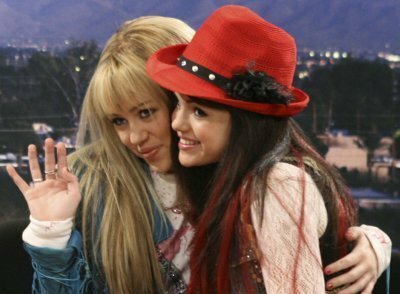 This Miley Cyrus vs. Selena Gomez photo might contain fedora, cappello di feltro, homburg, stetson, and stetson trilby. They are soo sweet !